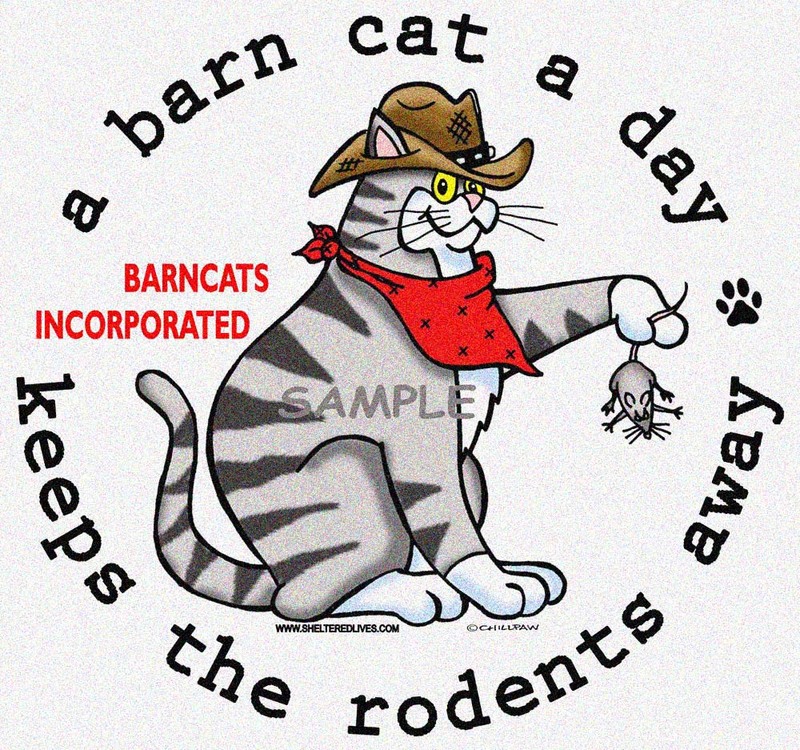 Go to www.barncats.org and click on OTHER BARN CAT GROUPS from the top bar of this website. The list is by state. Hopefully there is a group doing some barning in your area. Also, search the internet for barn cats and your area. There may be a group doing some barning that is not on my list. If not, suggest you contact local adoption groups. They usually have a cat or two that has been returned for peeing in the house. You can find those groups by calling your local PetsMart and Petco. All those groups will be no-kill. After developing a list, you will have to contact each group separately and each is run differently. Remember to ask if all are spayed/neutered! You want one or two — not 20! And/or – Contact local feral groups that do TNR (Trap/Neuter/Return). They often have cats that cannot be “returned”. Same thing: Ensure that all are sterilized. There is a national list at the Alley Cat Allies website. www.alleycatallies.org. Any cats you get need to be contained at the barn site (cage, tack room, etc.) for 1 to 2 weeks (one week for friendlier cats and two weeks for ferals). This is to let them get familiar with their new surroundings, people, dogs, horses, whatever….and to understand that you are their new food source. Also, if you will send an email to info@barncats.org, any emails from people trying to release cats in your area will be forwarded. Please put your city and state in the subject line of the request.